KIEV, March 20 (Xinhua) -- Ukraine has successfully tested Turkish-produced Bayraktar TB2 combat unmanned aerial vehicles (UAVs), Ukraine's presidential press service said on Wednesday. The tests were carried out in western Khmelnytsky region under the supervision of Ukrainian President Petro Poroshenko, according to a statement on the presidential website. 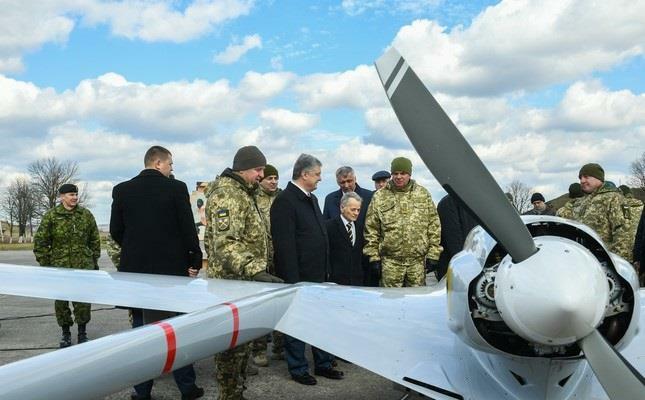 After the tests, Poroshenko said that the UAVs will boost the capabilities of the Ukrainian army. In January, Poroshenko announced that Ukraine's state-owned company Ukrspecexport signed a contract to purchase Bayraktar TB2 from Turkish company Baykar Makina. The Ukrainian media estimated that Ukraine paid 69 million U.S. dollars for six UAVs and ammunition for them. Bayraktar TB2 is a medium-altitude, long-endurance UAV with a maximum payload of about 50 kg. It can be used in surveillance, reconnaissance and combat missions.